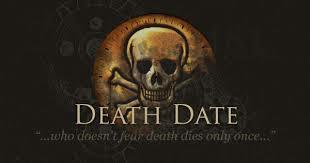 Want to know the exact date of your death? Only if you live past 100! So, want to get scared on the web? Here are three terrifying sites to check out. For example there is http://planecrashinfo.com/ website; where people can find information on planes that have crashed and listen to pilots last words before impact. One of the scariest websites is http://100humanleather.com; here people can find handbags, jackets, boots, belts made out of human skin. And it’s all perfectly legal because the skin used is donated from people that have already died. Finally, there’s http://5nletters.blogspot.com/?m=1, a website where convicted serial killers and violent sexual predators can communicate with each other and influence anyone else that views their blogs. The internet is home to many different websites, some fun, interesting, scary, and just plain creepy. The internet itself is scary because everything stays saved and connected forever. “In this country, there should be limits on what people with a criminal history can share to the world,” said Eloy Hernandez, Spanish teacher at Morton East, after viewing the serial killers’ website. Other students aren’t all that creeped out by what they see online. “It’s very macabre but still interesting,” said one anonymous student at Morton East. Donated skin can be used as a temporary dressing for severe burn patients who do not have enough healthy skin on their body. One student noted this. “I think it’s stupid to be using the skin like that when it could be used in more useful ways,” said an anonymous student at Morton East. I feel like most of these websites may be fake just to scare people. But you never know one of those can actually be real, and tell you real Information. I checked out a lot of the websites and I was a little freaked out. especially about the one about the real human skin products which included a wallet made of “ 100 % real human skin” but later at the bottom of the product description says that, it’s not actually real and I felt a sign of relief. Writer question: Out of all the websites which is your scariest?